This was my delicious pudding tonight! 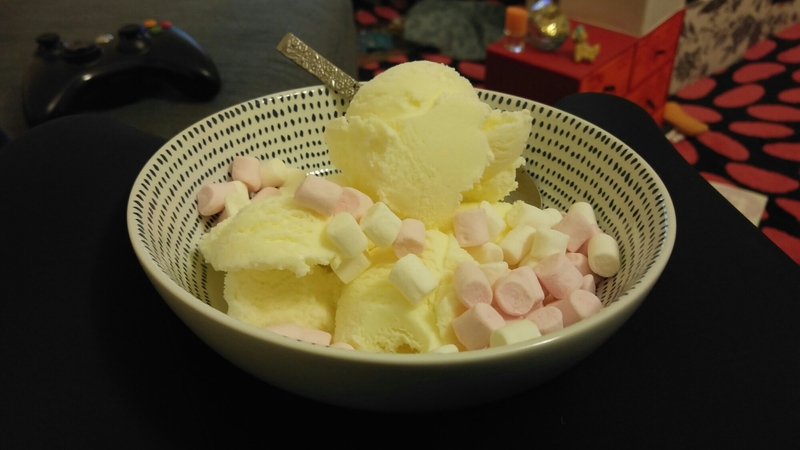 Nic and I treated ourselves to a Monday night ice cream whilst watching the Simpsons. Because sometimes, you just need these things! Now that my colleague Jon has left, work is slightly more hectic.. It’s super exciting as I’m getting involved in a lot more of the planning and organisation stage of things, but still, very busy! But I’m back cycling which is great, and already tucked up for an early night! Good night!